Give your body the form of magnesium it can easily recognize and better use to benefit your health and wellness. Vinco's Ionic Magnesium is an oral spray supplement that supplies a bioavailable form of this important mineral. 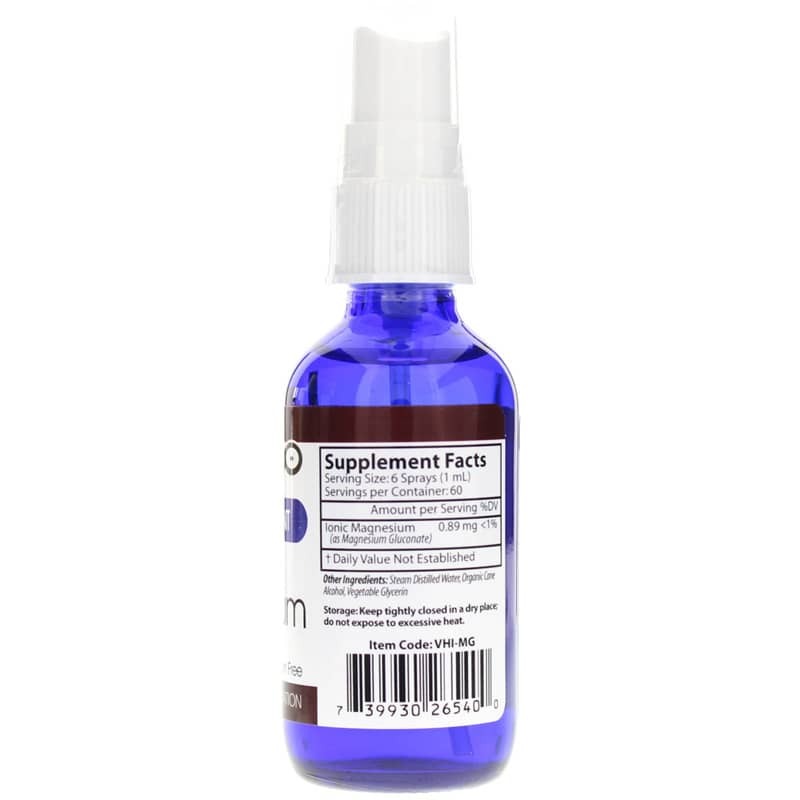 It is formulated to be rapidly absorbed in your body. More than half of the magnesium in your body is found in your skeleton, making it an important nutrient for healthy bones. But it is also involved in many other important functions and impacts nerve health, muscles, digestion, fluid regulation, provides cardiovascular support and more. All told - magnesium plays a role in more than 300 different enzymatic reactions. Yet many Americans (it's estimated as much as 80%) have a diet deficient in magnesium. You don't have to be one of them. From promoting normal sleeping patterns and maintaining healthy blood pressure, to blood sugar support and relief from digestive distress - don't forget to get your magnesium! 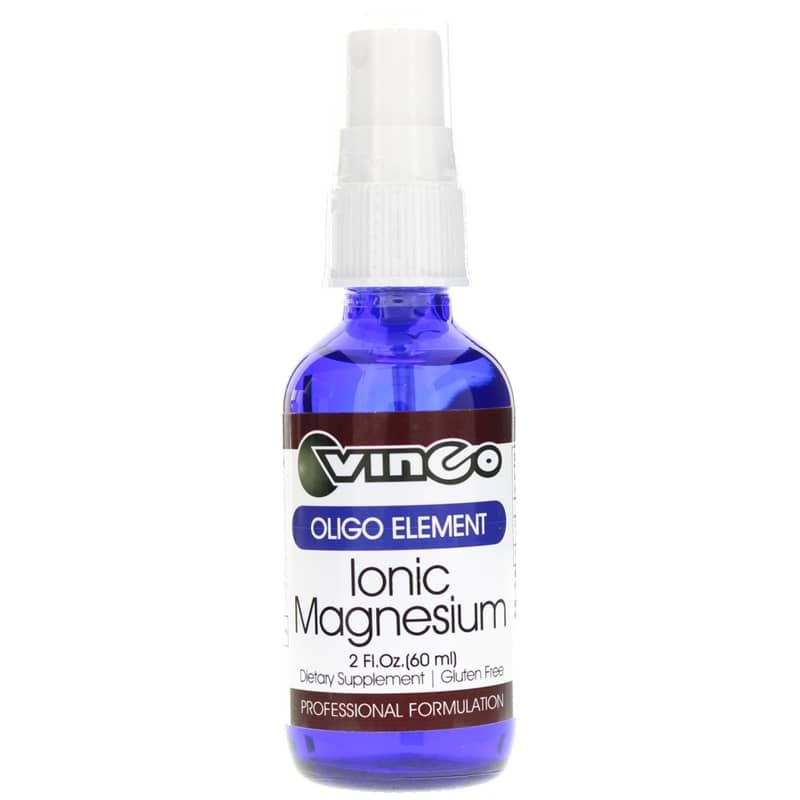 Order Ionic Magnesium Spray from Vinco today! Ask your healthcare provider how it could help you. Other Ingredients: Steam Distilled Water, Organic Cane Alcohol, Vegetable Glycerin. 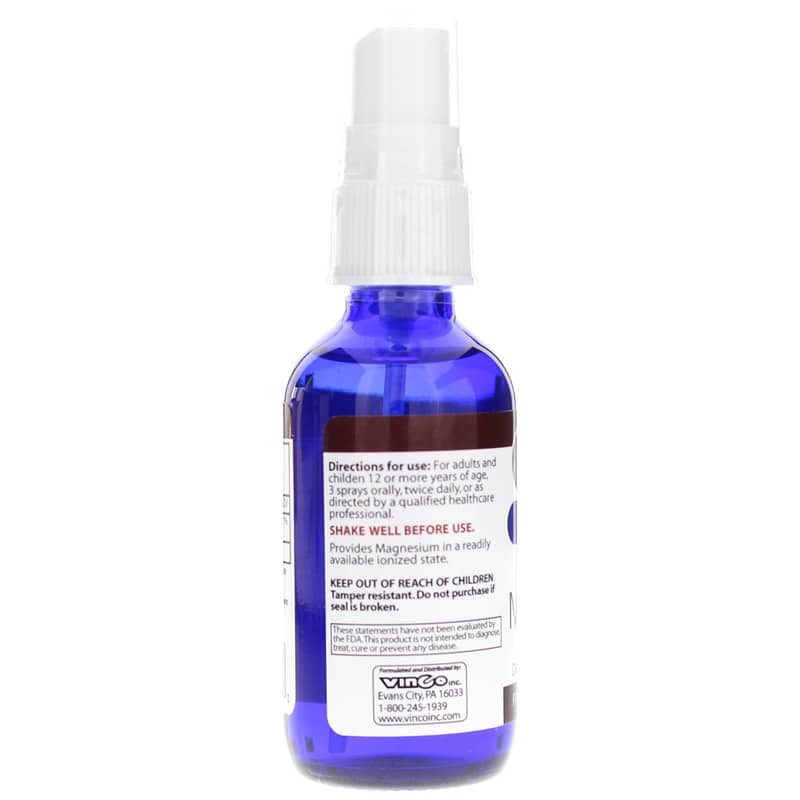 For adults and children 12 or more years of age: 3 sprays orally, twice daily, or as directed by a qualified healthcare professional. Shake well before use. I use Ionic Magnesium on a daily basis. It's a good way for me to keep up with my magnesium intake. I find this under the tongue spray form to be the most effective and convenient way to take it. I have tried other forms such as skin lotions, skin sprays and pills but I prefer this form to all the rest. I highly recommend it.